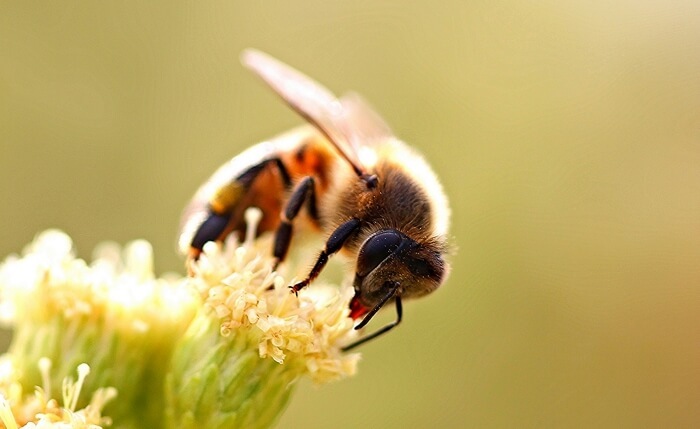 Worker and drone honey bees eat pollen from plants, as it contains all the necessary nutrients they need to strive. Queen bees, on the other hand, have a specific diet comprised of royal jelly, which is produced by worker bees. Royal jelly is a special substance produced by mixing pollen and chemicals from the glans of worker bees. The substance contains dietary supplements, fertility stimulants and other medicinal nutrients that allow queen bees to live up to 5 years while continuously producing 2,000 larvae a day. Royal jelly is also fed to bee larvae to help them grow to an appropriate weight, at which point they then transition to eating regular honey.